Though they differ in generation and performance practice, the NYC-based Onda (b.1967) and the Kyotango-based Suzuki (b. 1941) share an astonishingly inventive, open- ended, and spontaneous approach to the infinite and variegated possibilities of sound. 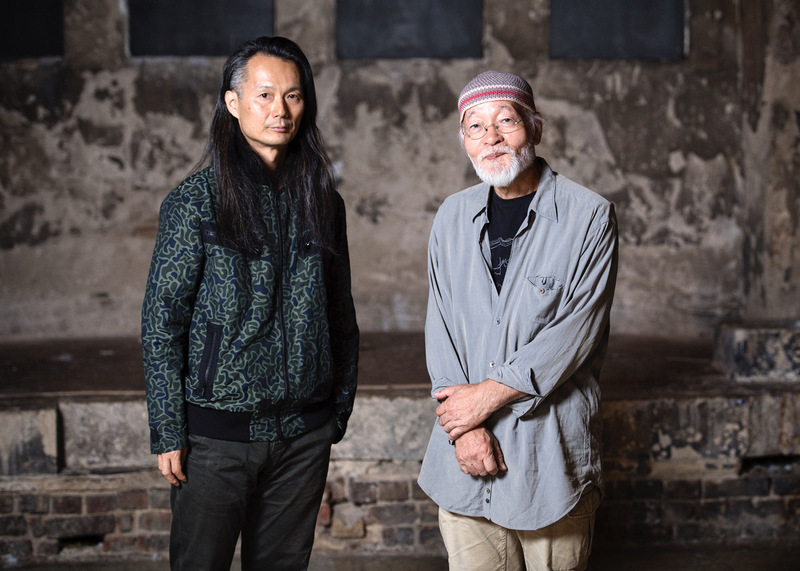 Since initiating a collaborative relationship in 2005, the duo have embarked on a number of tours in Europe and Asia, exploring site-specific locations ranging from an abandoned factory on the outskirts of Brussels to an underground parking lot in Glasgow. Paper Ensemble was founded by Jochem van Tol in 2007 and developed with Ibelisse Guardia Ferragutti. Jochem invented a series of sculptural paper instruments which emerged from a research about sound, listening and composition. 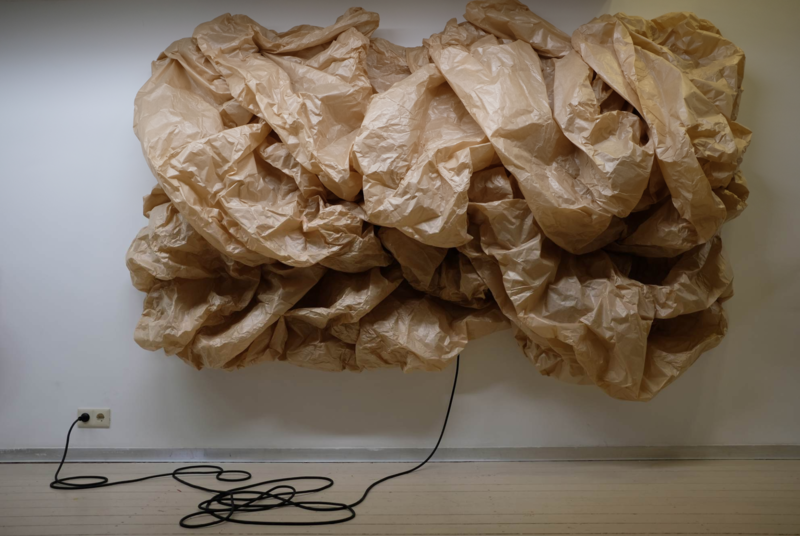 The Paper Ensemble gives the visitor the opportunity to have an aesthetic experience that would remain hidden if not presented through the work of art. 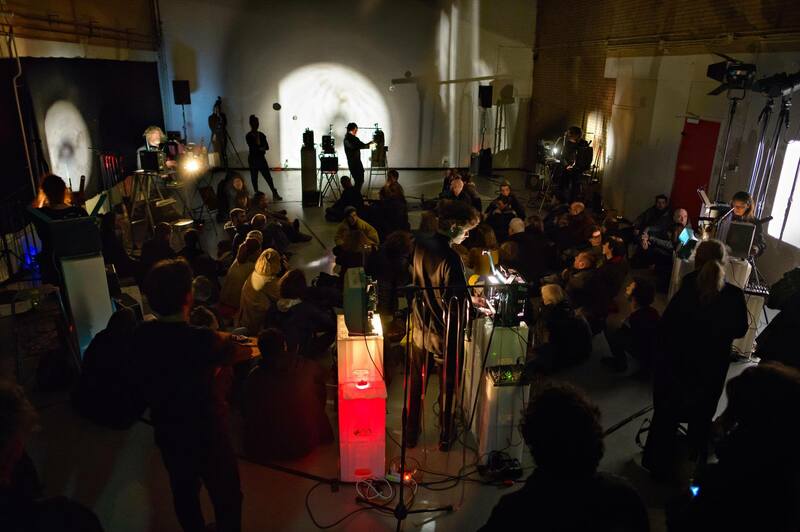 They challenge the borders of what we would define as an object, an image or a (musical) sound. They could be heard as regular sounds, or (when blowing against a sheet of the thinnest paper) not been heard at all, but by putting these sounds in a specific composition, well timed and precisely played, the sounds attain a musical and performative quality that challenges the visitor’s awareness of sound and music in general. 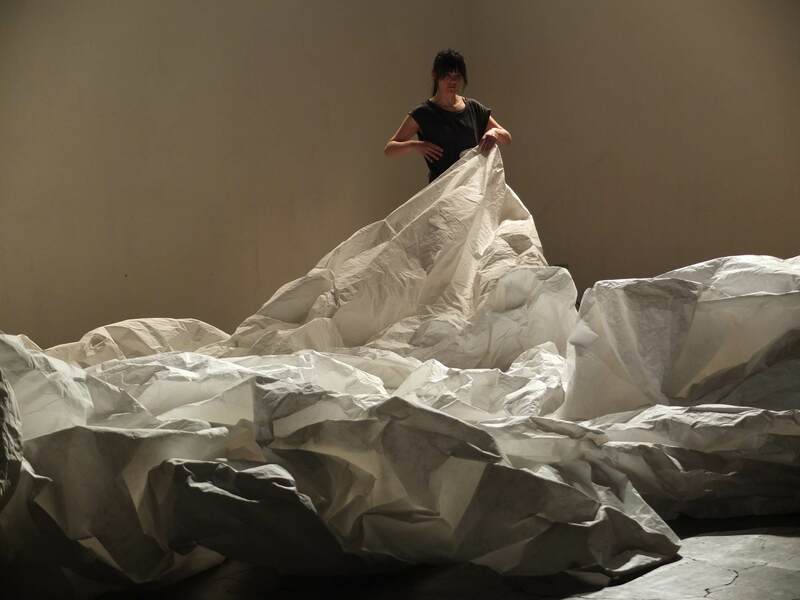 The Paper Ensemble catches the magic of a silent material and enlarges it in a poetic and moving way. On the occasion of No Patent Pending #35, Paper Ensemble will consist of Ibelisse Guardia Ferragutti, Klara Alexova and Jochem van Tol. No Patent Pending #35 is presented by iii in collaboration with WD4X and with the support of Stroom Den Haag and Gemeente Den Haag. The participation of Akio Suzuki and Aki Onda is made possible in collaboration with Q-O2 and STUK.